One of the biggest expenses that homeowners have is their home mortgage. One of the biggest dreams that homeowners have is owning their own home free and clear. In order to achieve this dream, homeowners need to pay off their mortgage early so they can become mortgage free. 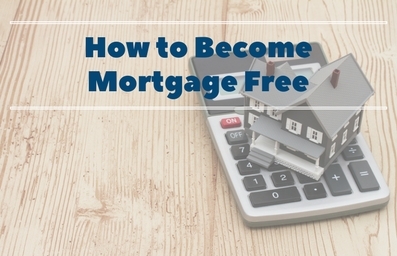 There are several ways that you can achieve becoming mortgage free. Some ways work faster than others but they will all help you achieve the same goal in the end. Before we can talk about how to become mortgage free, it is important to note the reasons that it is important to do so. There are many reasons that paying off your mortgage early is important. However, the three main reasons are emotional well-being, avoidance of losing your home and financial sense. When it comes to your emotional well-being, paying off your mortgage early can lift a huge burden off your shoulders. Monthly mortgage payments are debt and there is nothing that is more stressful or emotionally draining than debt. Stress and emotions lead to anxiety, which can lead to a host of health issues such as migraines, ulcers and insomnia. Once you no longer have a mortgage to pay, your overall well-being improves. Another reason for paying off your mortgage sooner rather than later is to avoid losing your home. If you decide to invest your money instead of paying off your mortgage, you may run into some problems should the investment fail. Also, in the event that you lose your job and cannot pay your monthly mortgage payments any longer, you may end up with a home that is foreclosed on. However, when you pay off your mortgage, you then own your home free and clear and don’t have to worry about losing it. Paying off your mortgage early just makes financial sense, when it all boils down. While many financial experts will argue that you will lose things such as the tax break, the bottom line is that the tax break really should not stop you from paying off your home. Say you pay $1,000 a month for your home mortgage, you paid $10,000 last year in interest on your mortgage and you bring in a yearly income of $75,000. You are taxed on $65,000 since you get a tax break for the $10,000 you paid in interest. This year, you inherit $100,000 and you pay your mortgage off in full. So, now you don’t get the tax break any longer so now you are taxed on the full $75,000 of your income. What this means is that you are now in the 30% tax bracket and you will end up paying the Canadian government more than $3,000 for taxes over what you paid last year. But, you also don’t have to pay the $10,000 in interest this year. Refinancing is one of the best ways to pay off your home mortgage quickly. This is especially true when interest rates are at their lowest. If you have plans to be in your current home for three years or longer, your mortgage is $100,000 or more and your interest rate is higher than 4.75%, you should be talking to your mortgage lender to see if you can get a lower interest rate. One word of advice when you are refinancing, is to ensure that you have everything you need in order to make the refinance process go smoother. You will need your most recent income statements, the past two years of income tax returns, proof of investments and copies of asset information. You will also have to provide explanations of job gaps, income irregularities or credit inquiries as well. Even if you are on a tight budget, you can still try and refinance your home mortgage so that the time frame that you have to make payments become shorter. It is recommended, by most financial experts, that if you have a 30-year mortgage on your home, you should refinance it so that you end up with a 20-year or even 15-year mortgage. If you have a low interest rate, you should be able to refinance to get a lower term but still have basically the same monthly payment as you have now. If you are receiving a lump sum payment, you can easily put some or all of this money into a lump sum payment on your home mortgage. Lump sum payments that you may be receiving include an inheritance or tax refund. This is money that you really didn’t count on having to begin with, so this means that you really won’t miss it. Depending on the amount of the lump sum payment that you make towards your mortgage, you may be able to reduce the term of your mortgage repayment by 12 months or more. One important piece of advice is to contact your mortgage lender to ensure that you will not be assessed a prepayment penalty. If your mortgage does have a prepayment penalty that goes along with it, you may be charged with a fee for a prepayment. This amount is usually equal to 1% of the amount of the mortgage loan. If you are currently making monthly mortgage payments, you can easily start making bi-weekly payments instead. All you need to do is take your monthly payment and divide that amount in half. Just by making those payments every two weeks, you can reduce the term of your mortgage by about five or six years if you have a 30-year mortgage. It is important to note that by changing the payment schedule, you may incur a one time setup fee. Every little bit helps when it comes to being mortgage free. While you may not think that an extra $20 a month is a lot, it is a significant amount when it comes to paying off your mortgage early. This amount can be applied to the principal that is owed on your mortgage, which will in turn have your interest reduced. So, if your payment each month is $956.48 and you round it up to a payment of $1,000 a month, you will be adding in an extra $43.52 each month. This means that you will pay off your mortgage a couple years earlier than originally expected. This option is ideal for those who have a little bit of extra cash, those who have already refinanced or those who may not qualify for refinancing. Many people may not be aware that when they first start paying on their home mortgage loan, the majority of their payment is going towards the interest and not the principal. However, if you prepay or pay more than what your monthly payment is supposed to be and you do this for a year or two, you can easily build equity faster. If you do decide to pay more on your monthly mortgage payment, you will need to ensure that you tell your home loan lender that you want the excess applied towards the loan principal. This is important to remember since some lenders will put the excess to future monthly payments and this will not be applied towards the principal amount. If you have a 30-year mortgage and you make 13 payment each year instead of 12, you could shorten that 30-year period to about 22 years. You could this simply by choosing one month out of the year where you have extra money and make two payments that month. Remember that you will be making two payments that month of what ever your normal monthly mortgage payment is. There are not many people that have heard of doing this as a way to pay off their mortgage sooner. The way this works is that you will increase your payment each month by $1. For instance, if your normal mortgage payment each month is $800, you would start by paying $801 the first month, $802 the second month, $803 the third month, and so on. By using this method, you could easily decrease the term of your mortgage loan by several years. While this may seem like a drastic measure to take in order to become mortgage free, it is something you may to consider. Selling you home is an effective step to take when it comes to not having to deal with a mortgage any longer. When you sell your home, you can do one of two things with the money you get from the sale. You can either take the money and buy another home outright or you can live the life of a renter. Either way, you will not have to worry about another mortgage payment again.